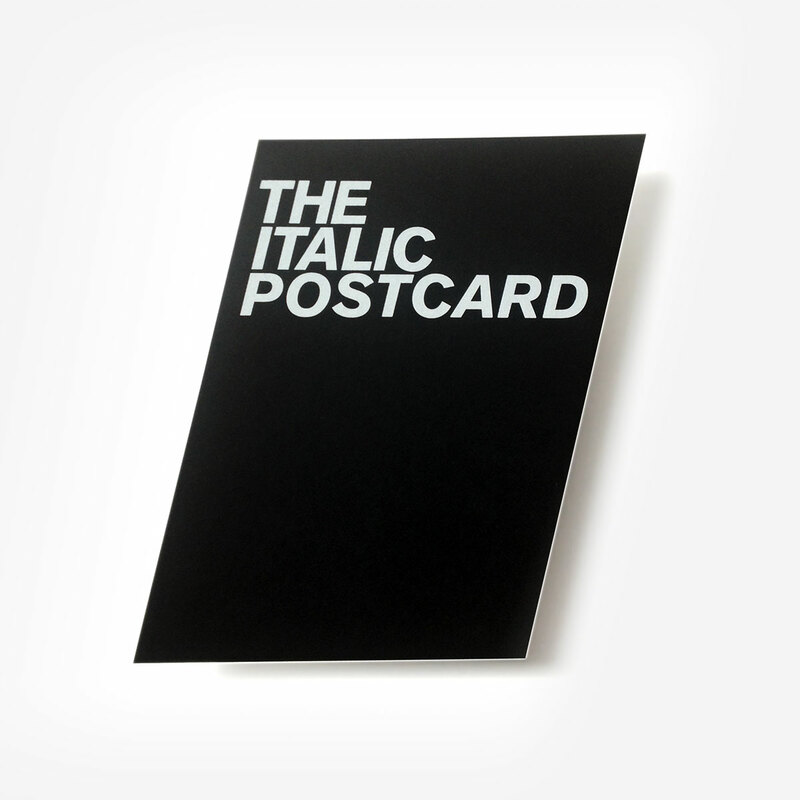 In 2007 Eivind Molvær designed and produced the first small edition of The Italic Poster. Now, five years later, Eivind and edition rikiki joined forces for a re-edition of the screenprint poster and – «The Italic Postcard»! 2 layers of 270g/sqm Colorplan paper, one Ebony Black, one Pristine White, are lined together and make a heavy 540g/sqm postcard. Screenprinted on both sides, black ink on the back, white ink on the front.